The AFHA mission is to work locally to conserve, develop, interpret, and promote a regional network of forest-based resources and experiences in the highlands of West Virginia and Maryland for the education, enjoyment, and appreciation of residents and visitors in order to enhance economic and community development. The goal of AFHA is to create a sustainable Heritage Area based on forest heritage. Existing and potential forest-based historic sites, artisans, manufacturers, and working forests are being developed into a network of attractions providing high-quality products, programs, educational experiences, events, and visitor services. AFHA seeks to achieve this goal by providing services to its stakeholders such as AmeriCorps support, fiscal sponsorship, networking opportunities, technical support, and volunteer coordination. AFHA has two AmeriCorps programs in WV providing services in the areas of Heritage and Community Development, Conservation, and Historic Preservation. - Volunteer recruitment and management practices for stakeholder organizations have improved. - Interpretive sites have received support in collections management, acquisition and interpretation. - Historic properties receive technical and hands on rehabilitative support. - Asset development and mapping has occurred in an effort to develop thematic trails and tours. - Organizations have been provided with a strategic partner for the purposes of fiscal sponsorship and administrative partnership for major projects. - Educational outreach has been provided throughout the region based on AFHA themes and sub-themes. 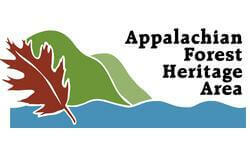 Appalachian Forest Heritage Area AmeriCorps: Enhancing Assets to Benefit Communities focuses on conservation, community development and historic preservation in 16 AFHA counties in the highlands of West Virginia. Members assist local organizations with environmental stewardship and community capacity building.